Grab your lunch and join us in the ARTery at the John Michael Kohler Arts Center! 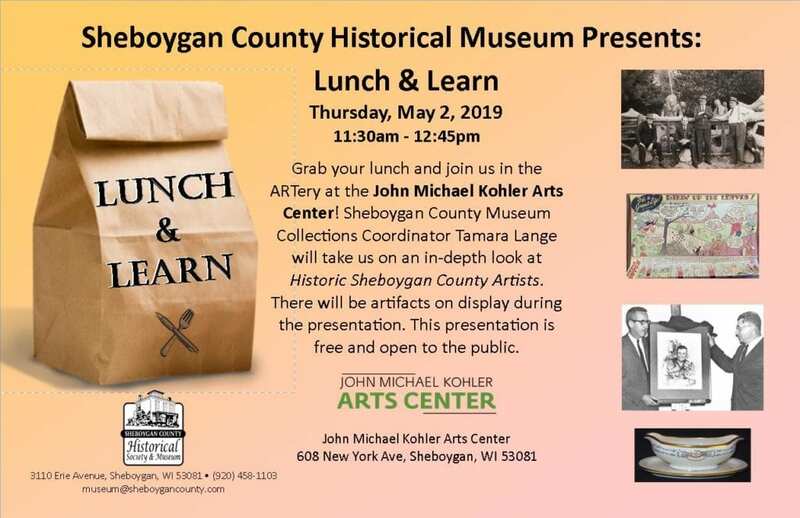 Sheboygan County Museum Collections Coordinator Tamara Lange will take us on an in-depth look at Historic Sheboygan County Artists. There will be artifacts on display during the presentation. This presentation is free and open to the public. Don’t want to worry about bringing a lunch? The ARTcafe inside the Arts Center has you covered! Please call ahead at (920) 694-4555 to place your order and it will be ready for pickup before we begin.